Barry, I believe the way the rule is, is if you go to a school that teaches you in an automatic then there will be a restriction on your license starting that you can only drive automatics. When I was going going to school for my cdl we had a guy come in for retraining because he went to a school that taught on automatics. If you were to get on with a company that only had autos then it wouldn't be a big deal but if they changed their fleet you might be in trouble. Trucker Tracker In Beta - Try It Out! seems like a pretty nice tool. Just thought I'd say I passed! HI Lisa, don't give up. Get on the phone and call them and just remind them that you have applied. Those folks deal with a lot of people on a daily basis. Remember that the squeaky wheel always gets the grease. Coming to a stop tips. Nice job Train. I hope all works out good for you. I got the official call today that I am being hired at Dot foods inc. I sign all the paper work on Friday and start Monday at 8 a.m. with the orientation. I have worked long and hard to get on with this company and it finally paid off. can't wait till Monday. yes it is true. we had a guy come through our school doing a refresher because he learned on an automatic. it would be nice if those schools with automatics would let you know up front. I did both, manual and high road. What I found was that the manual to me seemed kinda confusing. with high road and all the little tests you do will really drive the correct answers into your head because of the refresher questions. the more you do the more refresher questions you get. repetition here it's the key. with the endorsements, if you wait till you get your license there will be a fee for a duplicate license. it's not much but it's money you can save by doing it at the time of your permit. also for hazmats you have to do a background check and it could take a couple of weeks to get that back. don't get caught up in having to wait for that to come back before you can take the test. what I mean by that is if you get the background check done, the day you go to get your license you can take the hazmat test and it will be put on your license from the start. most companies today require hazmats so it's best to get them out of the way as soon as possible. Steven, for me the test was simply the nurse coming in and whispering " the sky is blue"and me repeating back to her what she just said. I have had two of those physicals now and both hearing tests were the same just different phrases. Hi Steven, the reason people are forbidden to use marijuana is although it is legal in many states, it is still not legal by the federal government. everything truck driving is federal government and in reality drugs and 80,000 pounds just doesn't go good together. 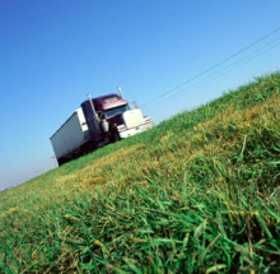 Do you have to be 21 to become a truck driver? Steven, the only way they can make you become a resident of Pa is if you decide to move to Pa. as a permanent resident for six months or more. just b because you work in a state other then your home state dosent mean you have to become a resident of that state. as is in my case I'm a resident of west virginia and have worked in Maryland for the past 25 years.